Which is stronger? The Lone Wolf or the Pack? Find out in this strategic trivia game where friend quickly becomes foe! 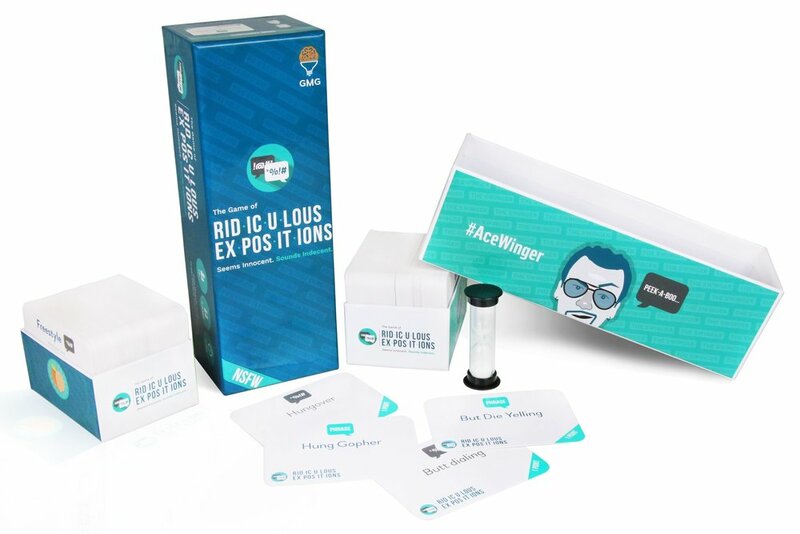 Ridiculous Expositions is the word game that seems innocent, sounds indecent and sure is good for tons of naughty laughs! Watch friends sound out dirty phrases without even realizing it - this game is SOFA KING AWE SUM! You Bet-Cha! combines poker and trivia into one fun game night! Lively categories will have you competing to name everything from the Detroit Bad Boys to Actors that have played Batman . Can you outsmart or bluff your way to build the biggest chip stack? Find out in You BetCha!, the perfect game for tabletop lovers, trivia enthusiasts and high rollers! As the Wolf, pick your Pack members based on their knowledge of the subject or go Lone Wolf for a chance at double the points! The Pack or Lone Wolf that answers the most correct of the five questions wins the points for that round! Will you go it alone, Wolf? Or will you choose strength in numbers? These are the critical choices you’ll make to be top dog in The Game of Wolf! Finalist for the 2019 Mensa Mind Games Award for games that are original, challenging and well designed. Compete against your fellow filthy minded friends in a race to guess the lewd phrase using the iconic language of Badmoji. The player with the most points at the end of two full rounds is the Badmojiest and gets to give their opponents a swirly! Thank you for checking out Gray Matters Games! Please click below to download a copy of the You Bet-Cha! sample pack.